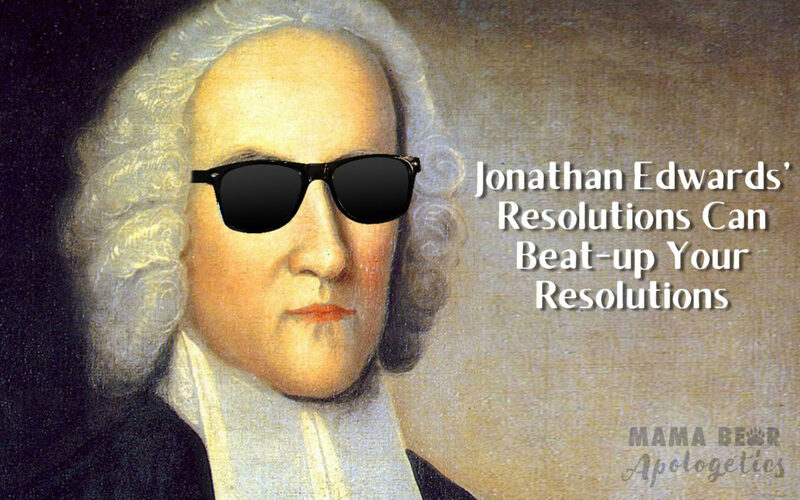 Also, since these were written mid 1700’s, the language is a bit hard to swallow, so we have gone through and rewritten all 70 of his resolutions with updated language. (I wish I could go back in time and tell them, “Seriously guys, enough with the commas. Use a period. End your thought, then keep going. It won’t kill you.”) Some of the words he uses have different connotation for contemporary audiences, so I did my best to keep with spirit of what he was trying to say, while being faithful to what I believe scripture teaches. To see his original resolutions in all their glory, visit them here. Updated language or not, one thing is clear: the man understood the destructive nature of sin and was resolved to do everything in his power to purge it from his life. 1) Knowing that glorifying God is the greatest good I can do for myself and mankind, I resolve to do whatever I can to increase God’s glory, regardless of the time commitment or the difficulties it brings to me and my family. 2) I resolve to not wait for opportunities to present themselves, but rather invent ways to make the aforementioned glory happen. 3) Resolved that when I utterly blow it in keeping these resolutions, I’ll look to my God, repent, and keep going. 4) Resolved to never do anything – in body or soul – that doesn’t glorify God, and resolved to try and surround myself with other people and with entertainment that seek to glorify God as well. 5) Resolved to not waste time doing stuff that doesn’t matter. 6) Resolved to live with all my might, while I do live. 7) Resolved to never do anything that I’d be ashamed to do if I knew I was about to die and stand face to face with God. 8) Resolved to think and act as if I were the worst of sinners, no matter whose company I am in. No matter what any person I’m around has done, I’m resolved that any perceived shortcomings in their character or behavior should just remind me how utterly forgiven I have been and will remind me to be diligent in confessing my own sins to God. Resolved to remember that I am no better than anyone else. 9) Resolved to think about my own death – not because I’m morbid, but because it reminds me that my life on this earth is temporary. Resolved to live for eternity. 10) Resolved that when I have aches and pains to remember the persecuted church. 11) Resolved that when there is a theological mystery that presents itself to me, to not be complacent in my ignorance, but seek to understand what I don’t understand. 12) Resolved that if my learning and deep thoughts lead me to pride instead of worship that I’ll immediately repent. 13) Resolved to be seeking people who need God’s physical provision, and be an instrument of provision. 14) Resolved to never do anything out of revenge. 15) Resolved to not get emotional when dealing with irrational people. 16) Resolved to not speak badly about someone or bring down their reputation unless there is some real, tangible, necessary good that must come from it. 17) Resolved to live the way I project wishing I had lived when I’m on my deathbed. 18) Resolved to live in such a way that the Gospel and eternity are always before my mind. 19) Resolved never to do anything that I’d be ashamed of if I knew Jesus was right about to come back. 20) Resolved to treat my body as God’s temple when it comes to eating and drinking. 21) Resolved to not do the things that for which I would negatively judge someone else. 23) Resolved to do things which I might normally not do for God’s glory, and if I find that I’m doing them for my own glory, go back to resolution #4. 24) Resolved that when I really blow it big time, to figure out what it was that led me to such an action. I am resolved to know myself, know my struggles, and know my weaknesses so that I can master them, not have them master me. 25) Resolved to carefully observe what tempts me to mistrust God and His love, and direct my energy to demolishing that stumbling block. 26) Resolved to remove from my life anything that causes me to doubt my assurance in Christ. 27) Resolved to not tell little lies of omission, unless there is a God-honoring reason. If I ever feel like I have found a God-honoring reason, resolved to really, really examine my intentions to make sure that I’m not just looking for a loophole. 28) Resolved to be such a student of the word that it is clear at the end of each passing year that I know much more at the end than I did at the beginning. 29) Resolved never to pray as if God doesn’t hear and answer, or confess as if God doesn’t forgive. 30) Resolved to — every week — strive for personal purity and a closer walk with the Lord. 31) Resolved that knowledge of my own faults bring forth speech that is gracious and loving to all, speaking to others how I would like to be spoken to. Resolved to test all my speech by this principle. 32) Resolved, to be firmly faithful to my calling in life so that Proverbs 20:6, “A faithful man who can find?” may not be said of me. 33) Resolved, to always seek to be an instrument of peace without seeking peace to the neglect of other virtues like truth. 34) Resolved that when I give talks, they will be pure, simple, and beautiful truths. 35) Resolved that whenever I start doubting if I’ve done enough, to set aside my own self-judgments, but still be able to truthfully answer to myself that I have been a good and faithful servant. 36) Resolved to never speak badly about someone else unless there is a real reason, and some real good is to come from it. 37) Resolved to take regular inventory to evaluate any areas of sin that I continue to struggle with. 38) Resolved that the Lord’s day is the Lord’s day, and I’ll not talk about stupid things that don’t matter on His day. 39) Resolved that, if I’m not 100% sure that something is not sin, to just not do it. 40) Resolved to regularly evaluate my food and drink choices. 41) Resolved, to ask myself at the end of every day, week, month and year, wherein I could possibly in any respect have done better. 42) Resolved to frequently renew the commitment I made to God when I first discovered His love and forgiveness. 43) Resolved to live each day as if I belonged to God and not myself. 44) Resolved that all my actions from the least to the greatest can be traced back to a sincere desire to love God and love others. 45) Resolved to never allow any aspect of life, joy or grief, nor any hobbies or pursuits, except that it helps me to better love God and love others. 46) Resolved to be utterly respectful of my parents and to not as much roll my eyes at them, or anyone else in my family. 47) Resolved to avoid anything that does not foster sweetness, goodness, stillness, peace, contentment, compassion, generosity, humility, modesty, submissiveness or diligence in me. 48) Resolved to take time out of my day and really evaluate the state of my heart, and whether or not I am truly about Christ or if I am just pretending. 49) Resolved that no one will ever have grounds for calling me a fake Christian. 50) Resolved to act in such a way that my actions here in this life are storing up for me the most good in the world to come. 51) Resolved to act in such a way that I can stand before God with a clean conscience saying I did my best. 52) I often hear elderly people saying with regret how they wish they had lived. I resolve to use their regrets as my roadmap to how I will live in the present. 53) Resolved to improve my surroundings wherever I go and to trust God fully, give myself to him fully, and confide in him fully. 54) Resolved to choose my heroes carefully, and seek to imitate those who are praised for their actions. 55) Resolved to act purposefully, as if I have already seen both the splendor of heaven and the torments of hell. 56) Never to stop fighting against sin, as long as I have breath to fight. 57) Resolved, that when I feel fearful about the future, to calmly assess what is and what is not in my control. Resolved to take power over the things in my control, and leave the rest to God. 58) Resolved to not only refrain from negative and critical speech, but to seek to bring positivity, love, and cheerfulness. 59) Resolved that, when I can tell I’m in a bad mood, to purposefully choose to act as if I weren’t, unless it’s one of those times where being authentic is more important than being cheerful. 60) Resolved that, when I can tell my emotions are getting out of control, to be self-reflective and see if there is anything that I have missed in myself. 61) Resolved, that when I find myself zoning out and forgetting who I am in Christ, to fight the pull towards apathy and snap out of it. 62) Resolved to busy myself with the calling God has on my life, and to do so willingly and cheerfully in accordance with Ephesians 6:6-8. 63) Resolved to follow Christ to the fullest, even if I am the only person in the world who does. 64) When I find myself longing for goodness and beauty which I cannot find in this world, to recognize that these longings are for heaven and I should openly seek and promote these virtues, no matter how silly it sounds to other people. 65) Resolved to be utterly transparent before God and man, including my sins, temptations, difficulties, hurts, fears, hopes, and desires. 66) Resolved to always be gentle, unless the situation calls for a Mama Bear. 67) Resolved that, when I go through hardships, to always look for the good that God is doing in me and through me by means of whatever suffering I am experiencing. 68) Resolved to be completely honest before God, confessing my sin, acknowledging my weakness, and asking for help. 69) Resolved to always do the good that I admire in others. 70) In everything I say, let there always be goodness. PHEW!!! That’s quite a list! It would be impossible to keep all of those in your head at all times. We recommend picking out just a few that really spoke to you, and put them on a notecard in your bathroom, or write them on your mirror in dry erase marker. Which ones spoke to you most? Let us know in the comments! Hillary Morgan Ferrer is the founder of Mama Bear Apologetics. 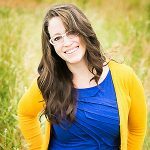 She is coauthor and editor of the Mama Bear Apologetics book, and has been married to her husband, Dr. John D. Ferrer, for over 12 years. She is working on her second master’s degree, and yet can’t seem to figure out the simplest cooking recipes.